As we all know, insulin costs are soaring and out of control. The cost of insulin has almost tripled in the last 15 years. Something has got to give here. 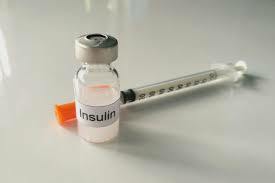 In late November 2018, The Endocrine Society released recommended policy changes to help increase access to affordable (yes, affordable) insulin. Below are a few of the recommended changes and a link to the full list of recommended changes. -Future list price increases should be limited, and reasonable financial incentives should be pursued by ALL stakeholders. -Rebates should be passed along to consumers without increasing premiums or deductibles. -Patient Assistance Programs should be less restrictive and have an accessible, common application that can be used for multiple programs. Thanks to the Endocrine Society for these recommendations.